32. Then, during the Age of Grace, Jesus came to redeem the whole of fallen mankind (and not only the Israelites). He showed mercy and lovingkindness to man. The Jesus that man saw in the Age of Grace was filled with lovingkindness and was always loving toward man, for He had come to save humanity from sin. He was able to forgive men their sins until His crucifixion completely redeemed mankind from sin. During this period, God appeared before man with mercy and lovingkindness; that is, He became a sin offering for man and was crucified for the sins of man so that they might forever be forgiven. He was merciful, compassionate, enduring, and loving. And all those who followed Jesus in the Age of Grace likewise sought to be enduring and loving in all things. They were long-suffering, and never fought back even when beaten, cursed, or stoned. 33. The work Jesus did was in accordance with the needs of man in that age. His task was to redeem humanity, to forgive them their sins, and so His disposition was wholly one of humility, patience, love, piety, forbearance, mercy, and lovingkindness. He blessed humanity richly and brought them grace in abundance, and all the things that they could possibly enjoy, He gave them for their enjoyment: peace and happiness, His tolerance and love, His mercy and lovingkindness. In those days, all that man encountered was an abundance of things to enjoy: Their hearts were at peace and reassured, their spirits were consoled, and they were sustained by the Savior Jesus. That they could obtain these things was a consequence of the age in which they lived. In the Age of Grace, man had already undergone Satan’s corruption, and so the work of redeeming all humanity required an abundance of grace, infinite forbearance and patience, and even more, an offering sufficient to atone for humanity’s sins, in order to arrive at its effect. What humanity saw in the Age of Grace was merely My offering of atonement for the sins of humanity, that is, Jesus. All they knew was that God could be merciful and forbearing, and all they saw was Jesus’ mercy and lovingkindness. This was entirely because they lived in the Age of Grace. And so, before they could be redeemed, they had to enjoy the many kinds of grace that Jesus bestowed on them; only this was beneficial to them. This way, they could be forgiven of their sins through their enjoyment of grace, and could also have the chance to be redeemed through enjoying Jesus’ forbearance and patience. Only through Jesus’ forbearance and patience did they win the right to receive forgiveness and enjoy the abundance of grace bestowed by Jesus—just as Jesus said, “I have come to redeem not the righteous but sinners, to allow sinners to be forgiven of their sins.” … The more Jesus loved mankind, forgiving them their sins and bringing unto them enough mercy and lovingkindness, the more mankind gained the capacity to be saved, to be called the lost lambs that Jesus bought back at a great price. Satan could not meddle in this work, because Jesus treated His followers as a loving mother treats the infant in her bosom. He did not grow angry at them or despise them, but was full of consolation; He never flew into a rage in their midst, but forbore with their sins and turned a blind eye to their foolishness and ignorance, to the point of saying, “Forgive others seventy times seven times.” So His heart transformed the hearts of others. It was in this way that the people received forgiveness of sins through His forbearance. 34. When the Lord Jesus began His work, He had already left behind the shackles of the Age of Law, and had broken through the regulations and principles from that age. In Him, there was no trace of anything related to the law; He had cast it off entirely and no longer observed it, and He no longer required mankind to observe it. So here you see that the Lord Jesus went through the corn fields on the Sabbath; the Lord did not rest, but was outside working. This action of His was a shock to people’s conceptions and communicated to them that He no longer lived under the law, and that He had left the confines of the Sabbath and appeared in front of mankind and in their midst in a new image, with a new way of working. This action of His told people that He had brought with Him new work that began with going out from the law and going out of the Sabbath. 35. There could only be a new age when Jesus came to do new work, to launch a new age, to break through the work previously done in Israel, and to conduct His work not in accordance with the work done by Jehovah in Israel, or with His old rules, or in conformity to any regulations, but rather to do the new work that He should do. God Himself comes to open up an age, and God Himself comes to bring the age to an end. Man is incapable of doing the work of beginning an age and concluding the age. If Jesus did not bring the work of Jehovah to an end, then that would be proof that He was merely a man and incapable of representing God. Precisely because Jesus came and concluded the work of Jehovah, followed on from the work of Jehovah by beginning His own work, new work, it proves that this was a new age, and that Jesus was God Himself. 36. Though Jesus in His incarnation was utterly without emotion, He always comforted His disciples, provided for them, helped them, and sustained them. However much work He did or however much suffering He endured, He never made excessive demands of the people, but was always patient and forbearing of their sins, such that people in the Age of Grace affectionately called Him “the lovable Savior Jesus.” To the people of that time—to all people—what Jesus had and was, was mercy and lovingkindness. He never remembered people’s transgressions, and His treatment of them was not based on their transgressions. Because that was a different age, He often bestowed plentiful food and drink upon the people so that they could eat their fill. He treated all His followers with grace, healing the sick, driving out demons, raising the dead. In order that the people might believe in Him and see that all that He did was done earnestly and sincerely, He went so far as to resurrect a rotting corpse, showing them that in His hands even the dead could come back to life. In this way He endured silently and did His work of redemption in their midst. Even before He was nailed to the cross, Jesus had already taken upon Himself the sins of humanity and become a sin offering for mankind. Even before being crucified, He had already opened the way to the cross in order to redeem mankind. At last He was nailed to the cross, sacrificing Himself for the sake of the cross, and He bestowed all of His mercy, lovingkindness, and holiness upon mankind. To humanity He was always tolerant, never vengeful, but forgave them their sins, exhorted them to repent, and taught them to have patience, forbearance, and love, to follow in His footsteps and sacrifice themselves for the sake of the cross. His love for the brothers and sisters exceeded His love for Mary. The work that He did took as its principle healing the people and driving out demons, all for the sake of His redemption. No matter where He went, He treated all who followed Him with grace. He made the poor rich, the lame walk, the blind see, and the deaf hear; He even invited the lowliest, destitute ones, the sinners, to sit at the same table with Him, never shunning them but always being patient, even saying, “When a shepherd loses one sheep out of a hundred, he will leave behind the ninety-nine to seek the one lost sheep, and when he finds it he will rejoice greatly.” He loved His followers as a ewe loves her lambs. Though they were foolish and ignorant, and were sinners in His eyes, and furthermore were the humblest members of society, He considered these sinners—men whom others despised—as the apple of His eye. Since He favored them, He gave up His life for them, as a lamb was offered up on the altar. He went about in their midst as if He were their servant, letting them use Him and slaughter Him, submitting to them unconditionally. To His followers He was the lovable Savior Jesus, but to the Pharisees, who lectured the people from a high pedestal, He showed not mercy and lovingkindness, but loathing and resentment. He did not do much work among the Pharisees, only occasionally lecturing and rebuking them; He did not go about in their midst doing the work of redemption, nor performing signs and wonders. He bestowed all His mercy and lovingkindness upon His followers, enduring for the sake of these sinners till the very end, when He was nailed to the cross, and suffering every humiliation until He had fully redeemed all humanity. This was the sum total of His work. 37. When Jesus came, He also did part of God’s work, and spoke some words—but what was the main work He accomplished? What He mainly accomplished was the work of crucifixion. He became the likeness of sinful flesh to complete the work of crucifixion and redeem all mankind, and it was for the sake of all mankind’s sin that He served as a sin offering. This is the main work He accomplished. Ultimately, He provided the path of the cross to guide those who came later. When Jesus came, it was primarily to complete the work of redemption. He redeemed all mankind, and brought the gospel of the kingdom of heaven to man, and, furthermore, He brought the kingdom of heaven. As a result, those who came after all said, “We should walk the path of the cross, and sacrifice ourselves for the cross.” Of course, in the beginning Jesus also did some other work and spoke some words to make man repent and confess his sins. But His ministry was still the crucifixion, and the three and a half years He spent preaching the way were in preparation for the crucifixion that came after. The several times that Jesus prayed were also for the sake of the crucifixion. The life of a normal man that He led and the thirty-three and a half years that He lived on earth were primarily for the sake of completing the work of crucifixion, they were to give Him strength, and make Him able to undertake this work, as a result of which God entrusted the work of crucifixion to Him. 38. At the time Jesus’ work was the redemption of all mankind. The sins of all who believed in Him were forgiven; as long as you believed in Him, He would redeem you; if you believed in Him, you were no longer a sinner, you were relieved of your sins. This is what it meant to be saved, and to be justified by faith. Yet in those who believed, there remained that which was rebellious and opposed God, and which still had to be slowly removed. Salvation did not mean man had been completely gained by Jesus, but that man was no longer of sin, that he had been forgiven his sins: Provided you believed, you would never more be of sin. 39. For, in the Age of Grace, the demons were cast out from man with the laying on of hands and prayer, but the corrupt dispositions within man still remained. Man was healed of his sickness and forgiven his sins, but as for just how man was to be purged of the corrupt satanic dispositions within him, this work had yet to be done. Man was only saved and forgiven his sins for his faith, but the sinful nature of man was not extirpated and still remained within him. The sins of man were forgiven through the agency of the incarnate God, but this does not mean that man no longer has sin within him. The sins of man could be forgiven through the sin offering, but as for just how man can be made to sin no more, and how his sinful nature may be extirpated completely and transformed, he has no way of solving this problem. 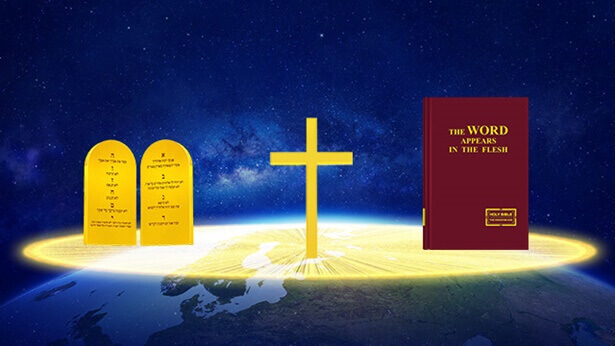 The sins of man were forgiven, and this is because of the work of God’s crucifixion, but man continued to live within the corrupt satanic disposition of old. This being so, man must be completely saved from his corrupt satanic disposition, so that his sinful nature may be completely extirpated, never to develop again, thus enabling the disposition of man to be transformed. 40. Without Jesus’ redemption, mankind would forever have lived in sin, and become the children of sin, the descendants of demons. Going on in this way, the entire earth would have become a lodging place for Satan, a place for its habitation. But the work of redemption required showing mercy and lovingkindness toward mankind; only by this means could mankind receive forgiveness and at last win the right to be made complete and fully gained. Without this stage of work, the six-thousand-year management plan would not have been able to go forward. If Jesus had not been crucified, if He had only healed the people and exorcised their demons, then the people could not have been completely forgiven of their sins. In the three and a half years that Jesus spent doing His work on earth, He completed only half of His work of redemption; then, by being nailed to the cross and becoming the likeness of sinful flesh, by being handed over to the evil one, He completed the work of crucifixion and mastered mankind’s destiny. Only after He was delivered into Satan’s hands did He redeem mankind. For thirty-three and a half years He suffered on earth, being ridiculed, slandered, and forsaken, even to the point where He had no place to lay His head, no place of rest; then He was crucified, with His whole being—an immaculate and innocent body—nailed to the cross, and underwent all manner of suffering. Those in power mocked and scourged Him, and the soldiers even spat in His face; yet He remained silent and endured until the end, submitting unconditionally to the point of death, whereupon He redeemed all of humanity. Only then was He permitted to rest. The work that Jesus did represents only the Age of Grace; it does not represent the Age of Law, nor is it a substitute for the work of the last days. This is the essence of Jesus’ work in the Age of Grace, the second age that mankind has passed through—the Age of Redemption.